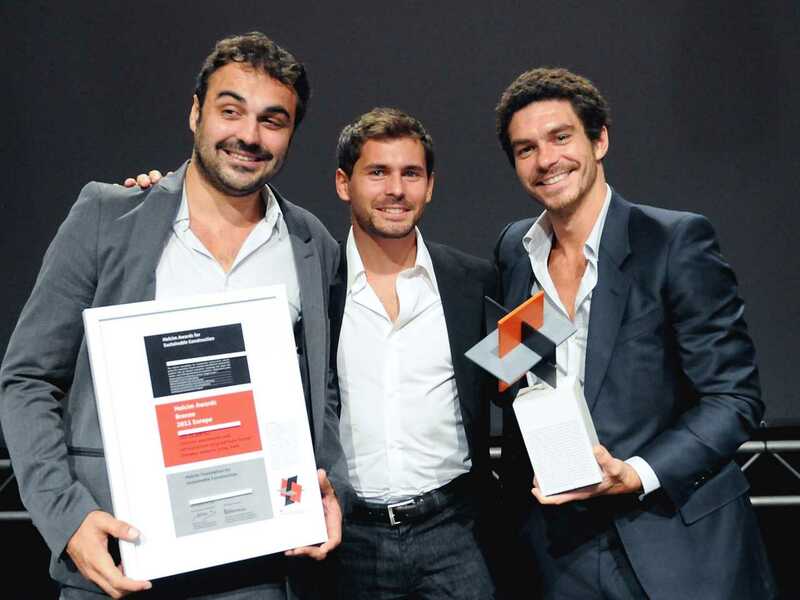 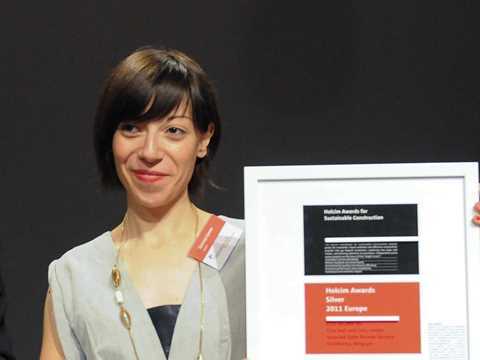 Holcim Awards Acknowledgement prize 2011 winner for High-density cottage garden structure: Eat me! 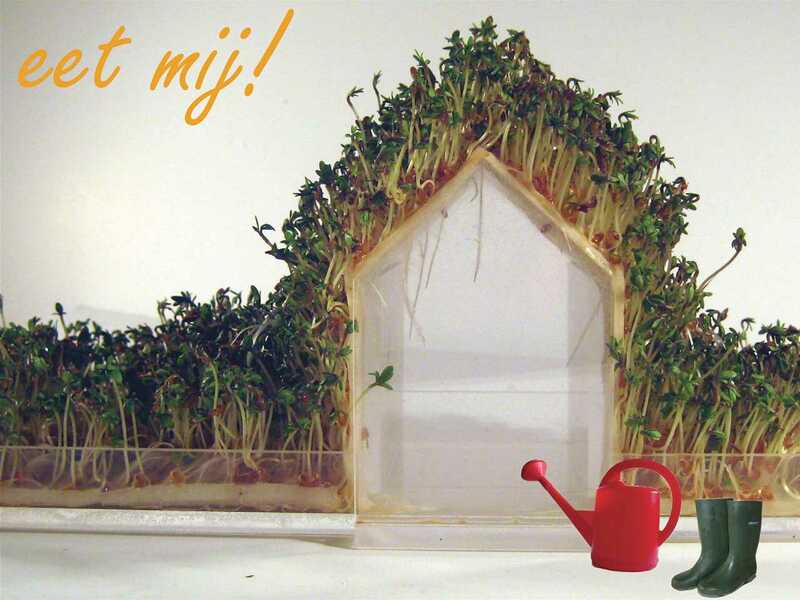 Project entry 2011: 3-D Model. 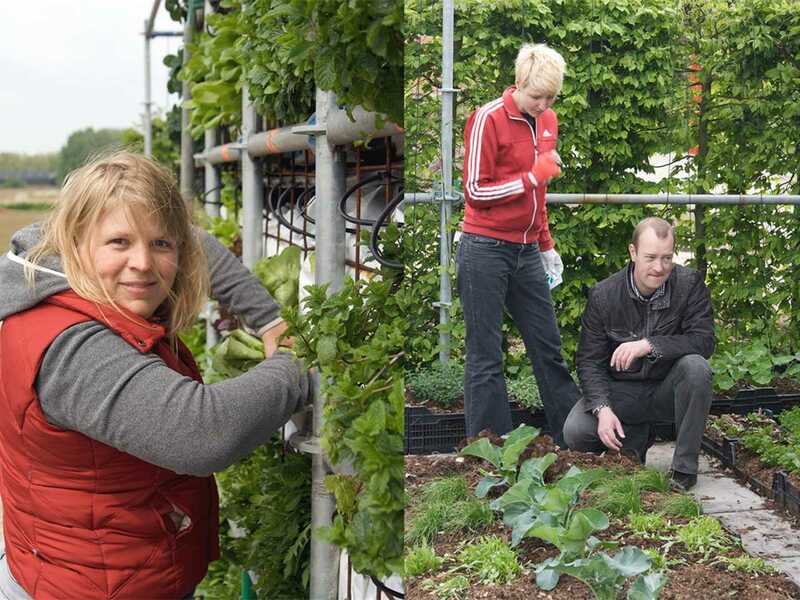 Project authors (l-r): Marijke Bruinsma, De Stuurlui Stedenbouw, Schipluiden, Netherlands; and Marjan van Capelle and Arjen de Groot, Atelier Gras, Schipluiden, Netherlands. 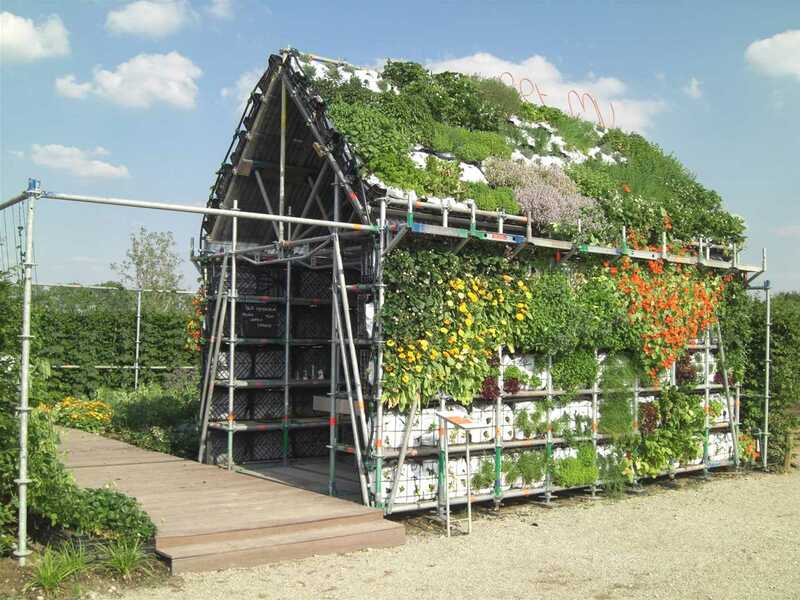 The edible Eathouse is a simple response on how to link urban space to green recreation areas and how to supply food with respect to its production – both matters of the socio-cultural quality of life. The Eathouse is an inexpensive modular system of plastic crates and scaffolding. 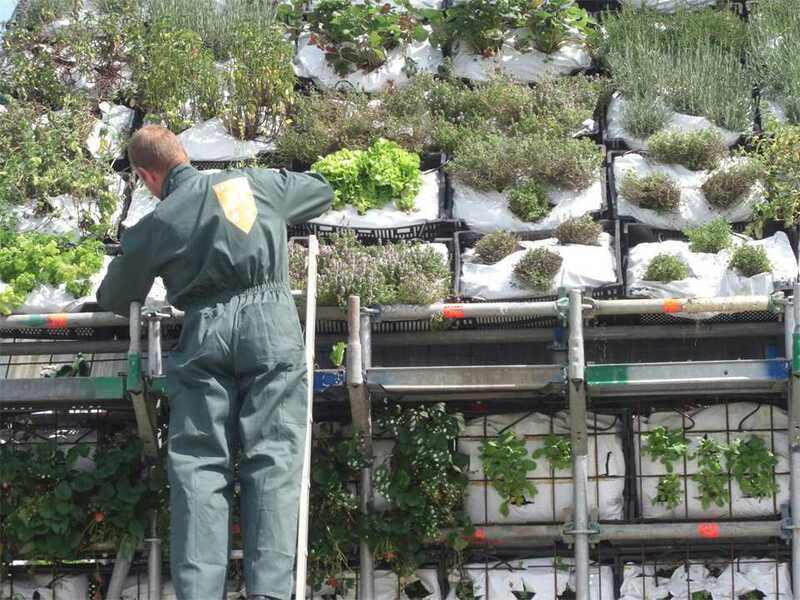 It creates the potential for growing a greater volume of “urban food” in a particularly confined space. 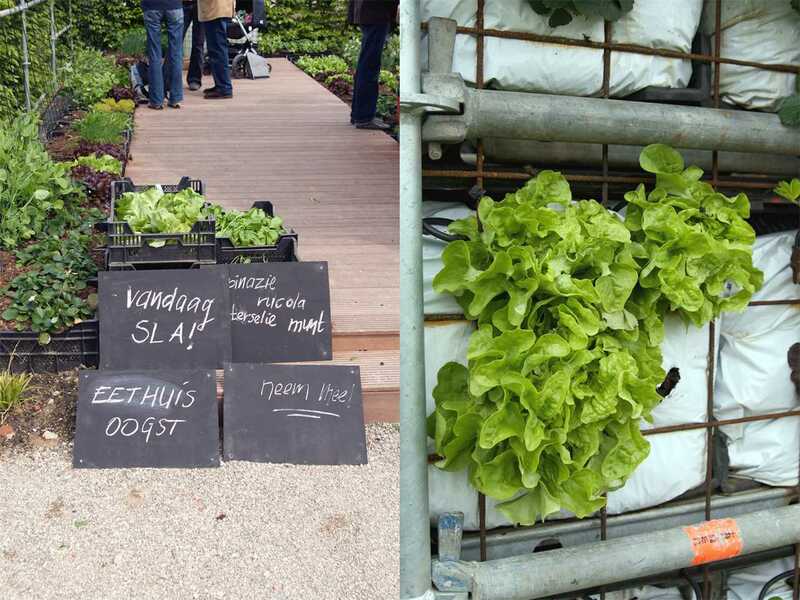 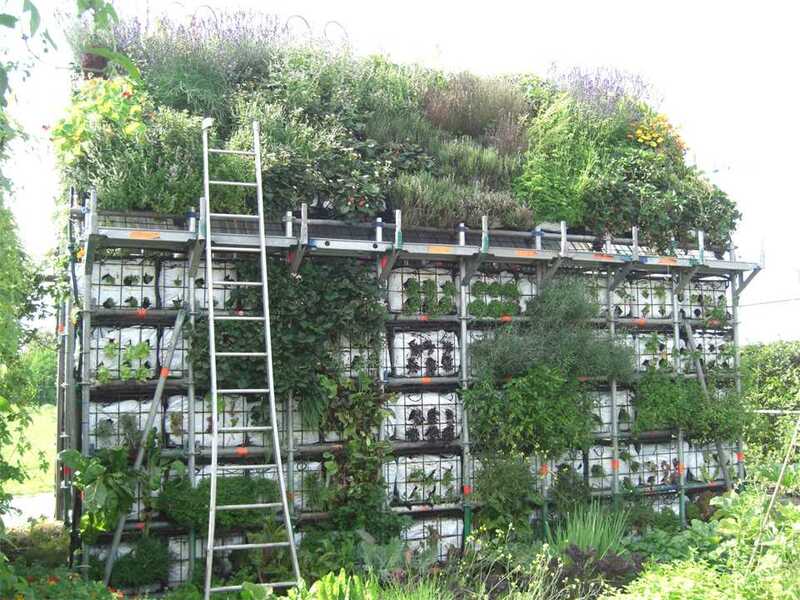 Dutch architectural offices De Stuurlui Stedenbouw, and Atelier Gras received a Holcim Awards Acknowledgement prize for their cottage garden structure that creates green recreation spaces in dense urban areas. 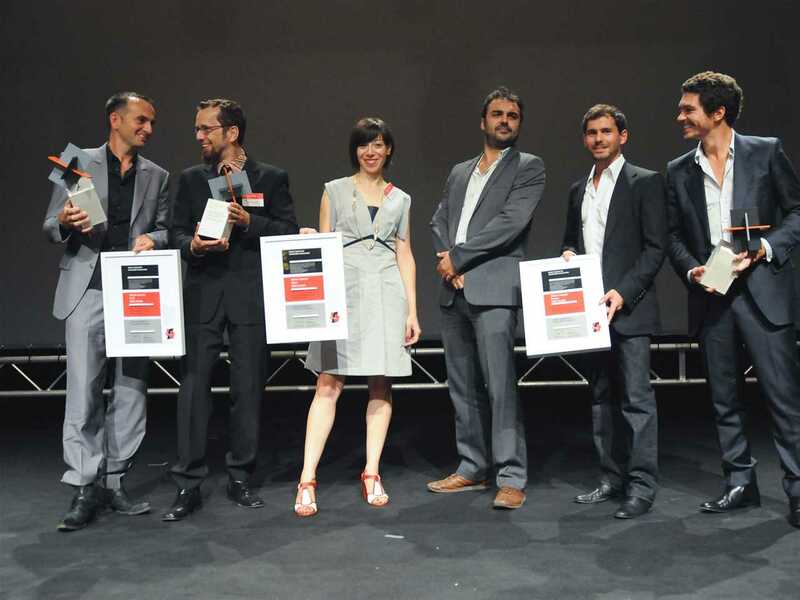 The jury identified the strength of the project was its extensive concept, which is as emblematical as it is concrete, and encourages discussions. 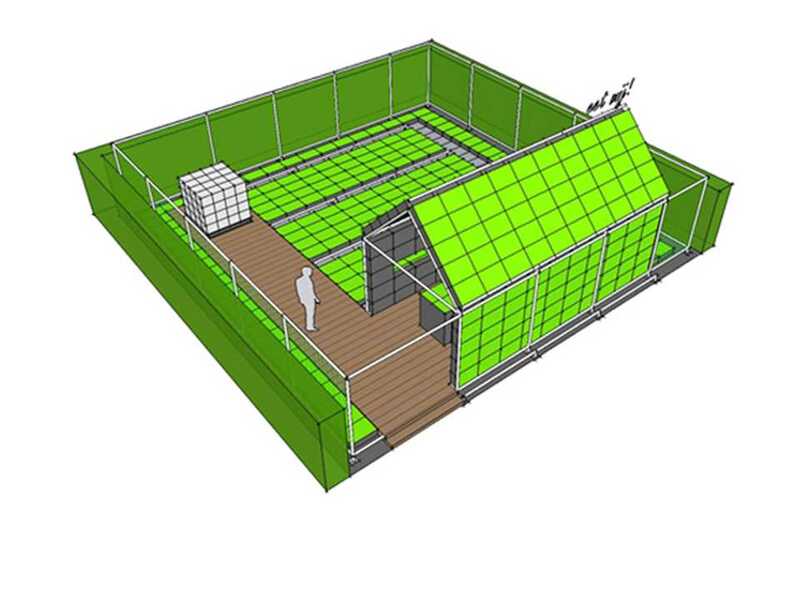 The most important innovation of the project, however, is that by building the structure, the space consumed and withdrawn from agriculture will be more than compensated by using the façade and the roof to increase agricultural production capacity. Eathouse helps to improve the life cycle assessment and it is a convincing contribution to the design of the environment. 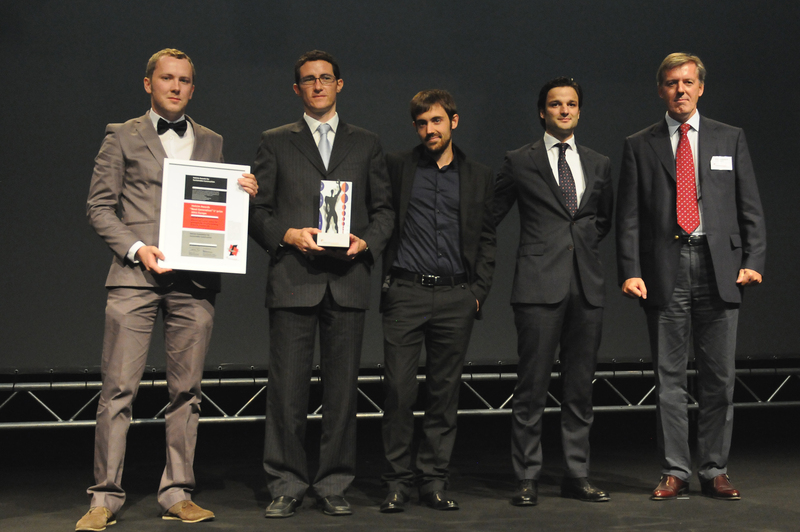 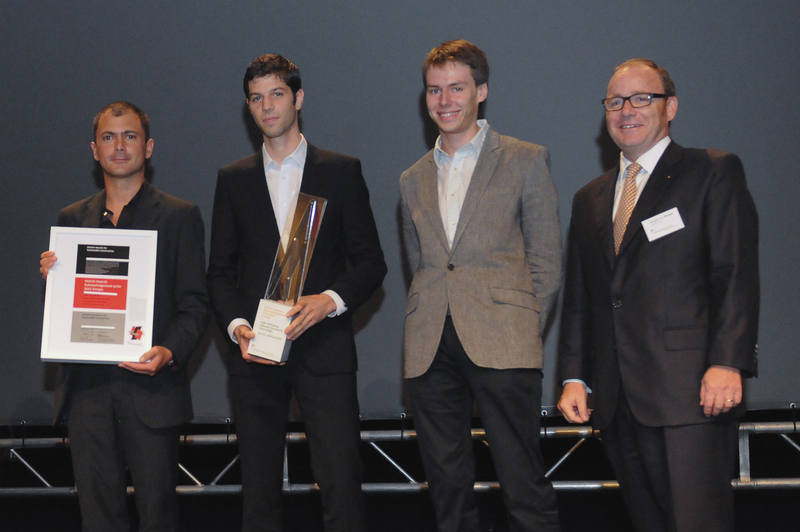 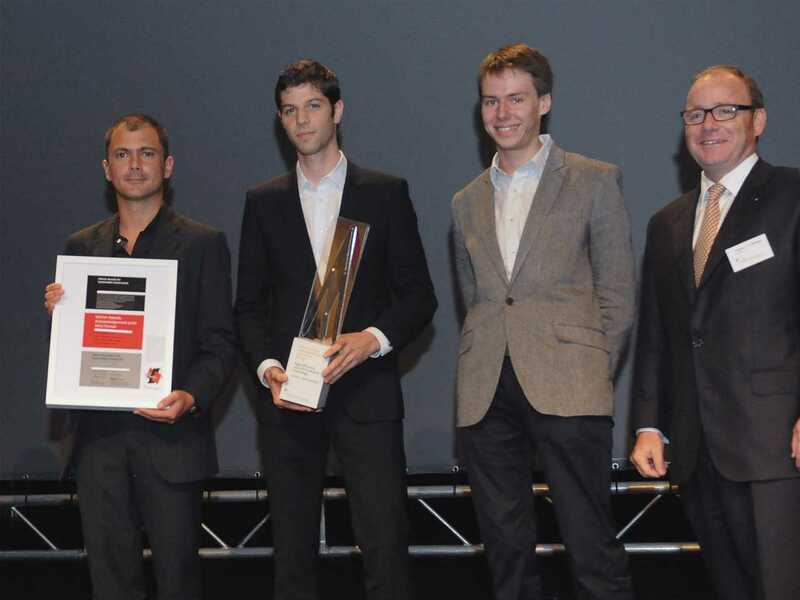 Holcim Awards Acknowledgement prize 2011 winner for High-density cottage garden structure: Concept. 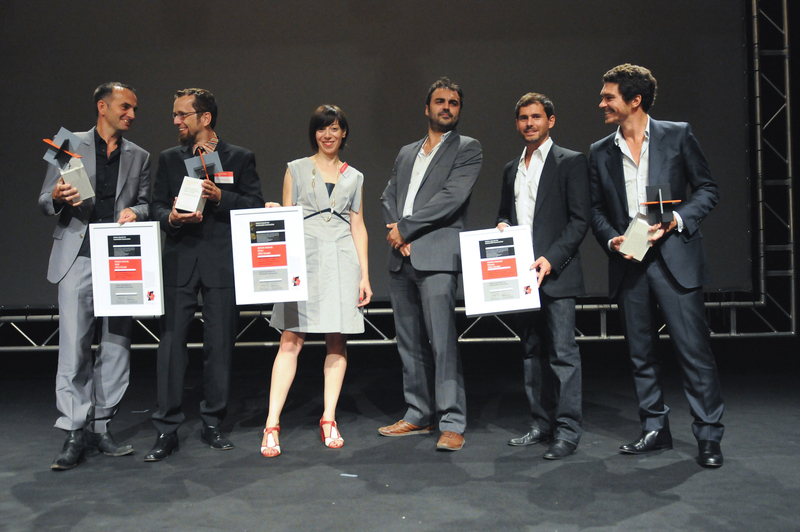 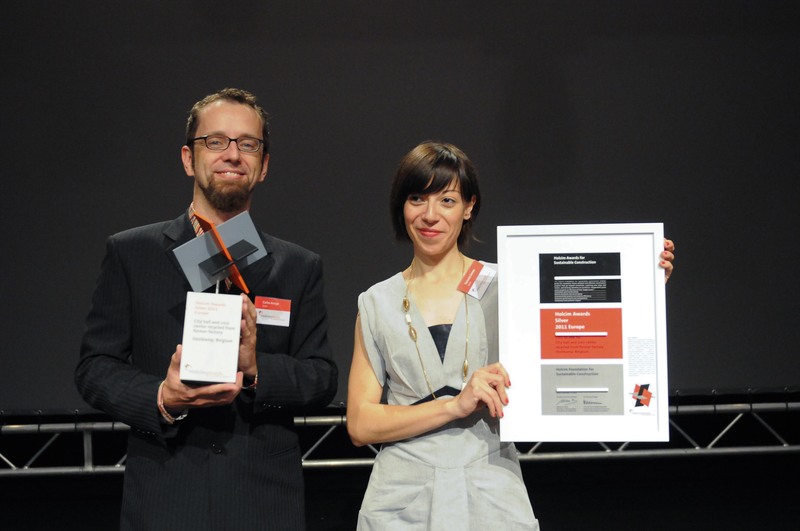 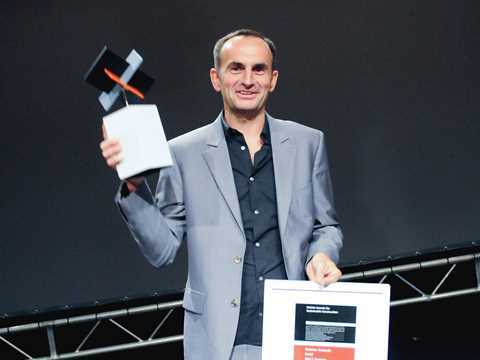 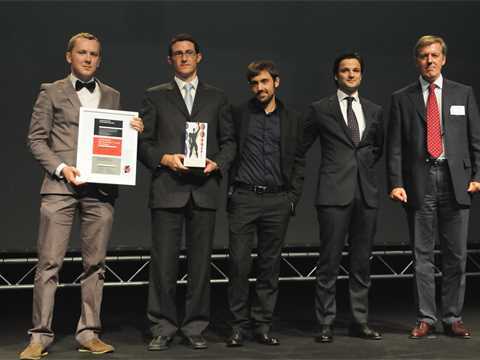 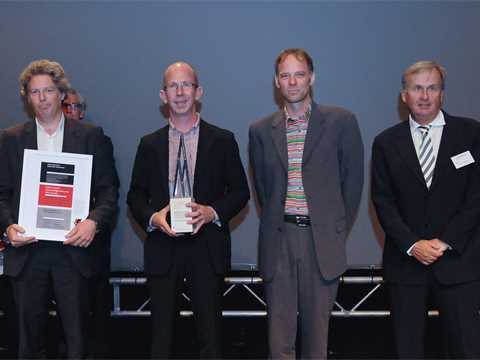 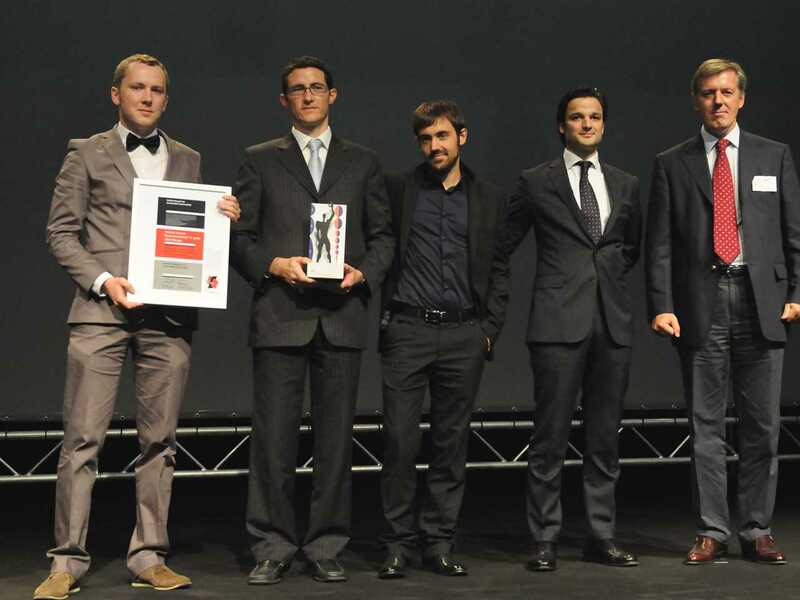 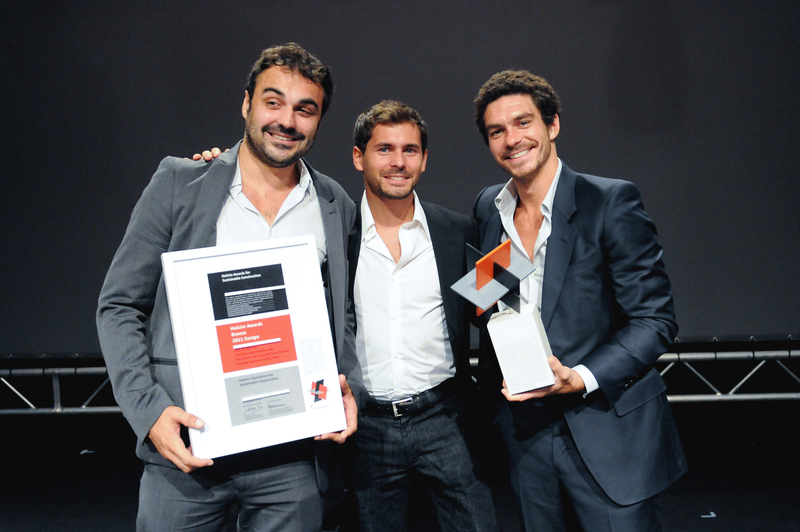 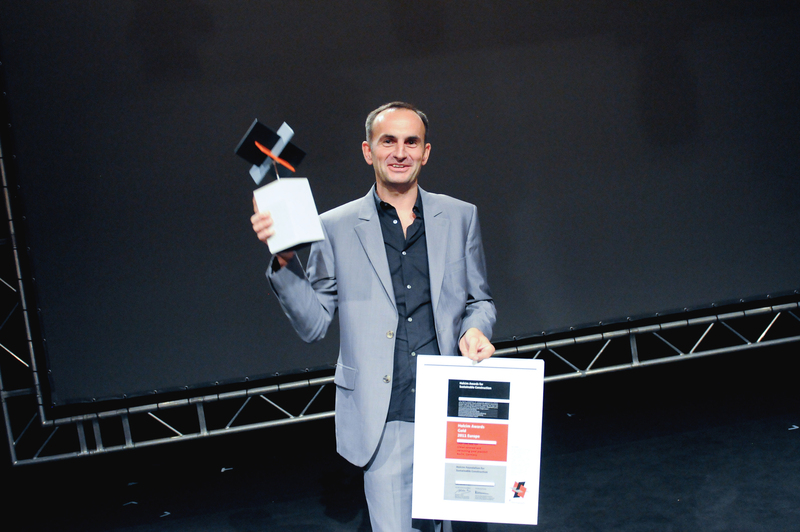 Holcim Awards Acknowledgement prize 2011 winner for High-density cottage garden structure: System. 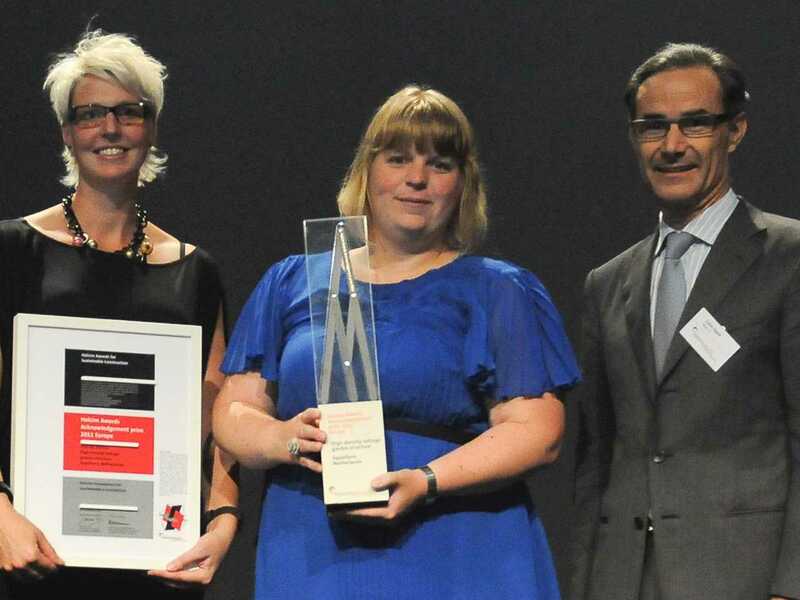 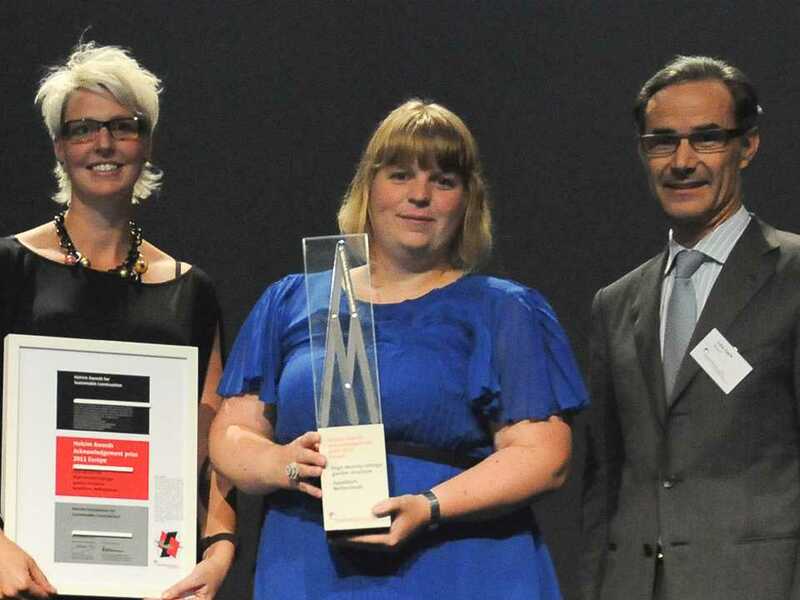 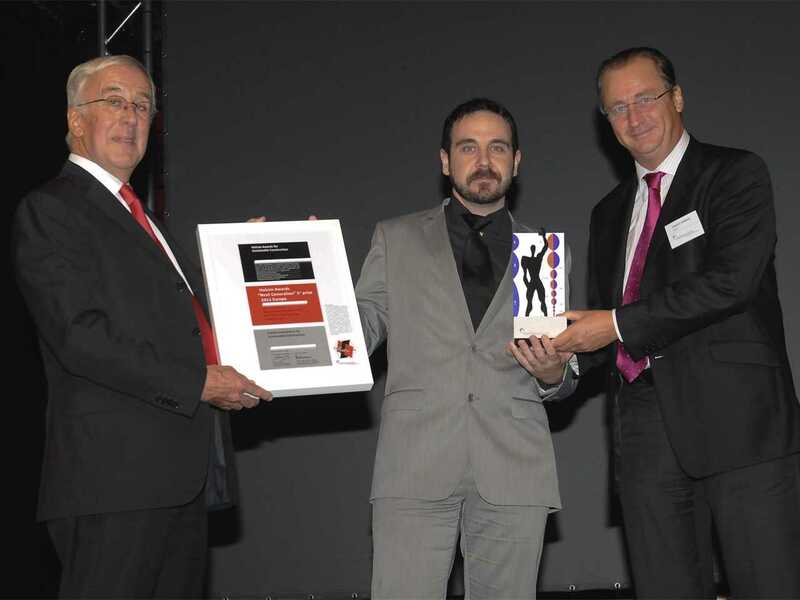 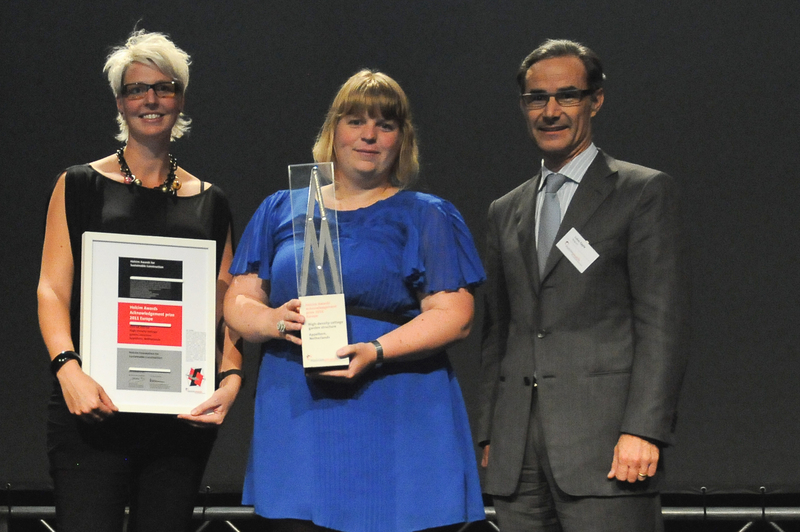 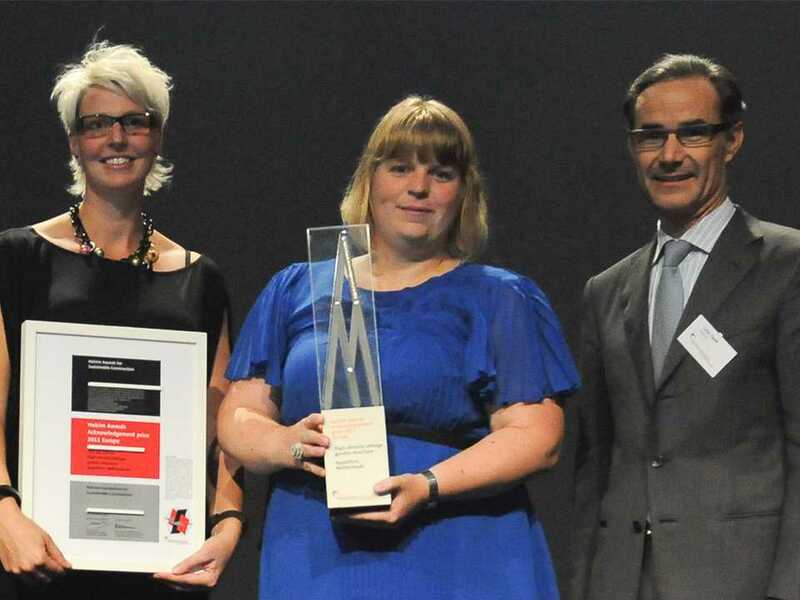 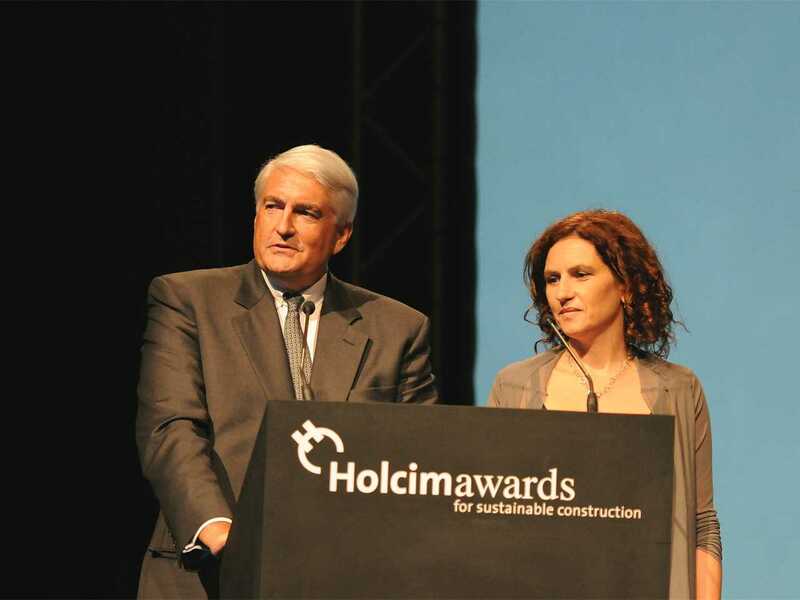 Holcim Awards Acknowledgement prize 2011 winner for High-density cottage garden structure: Eathouse. Holcim Awards Acknowledgement prize 2011 winner for High-density cottage garden structure: Take-away. 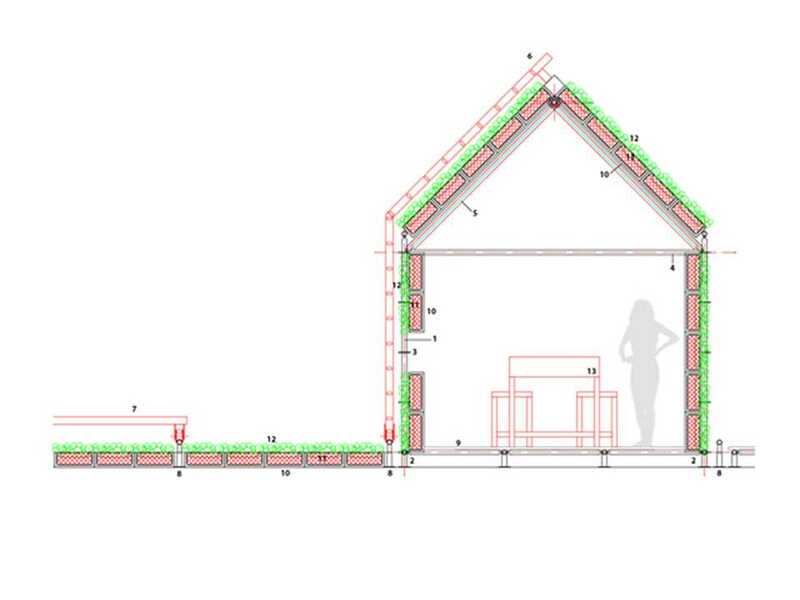 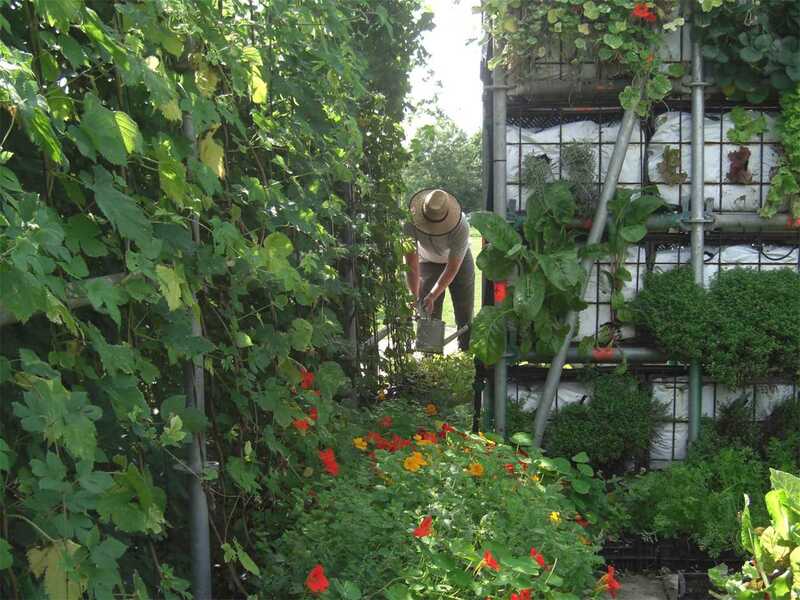 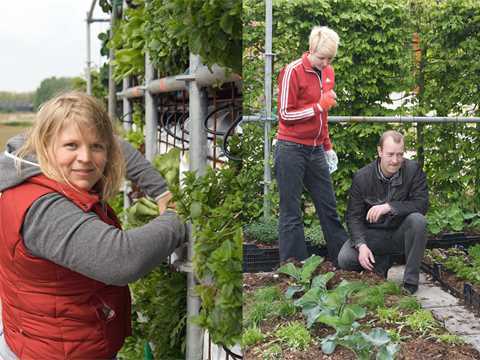 Holcim Awards Acknowledgement prize 2011 winner for High-density cottage garden structure: Harvesting. 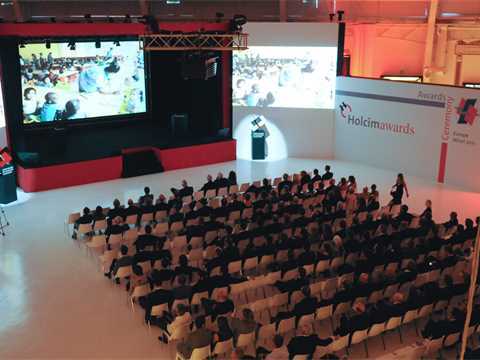 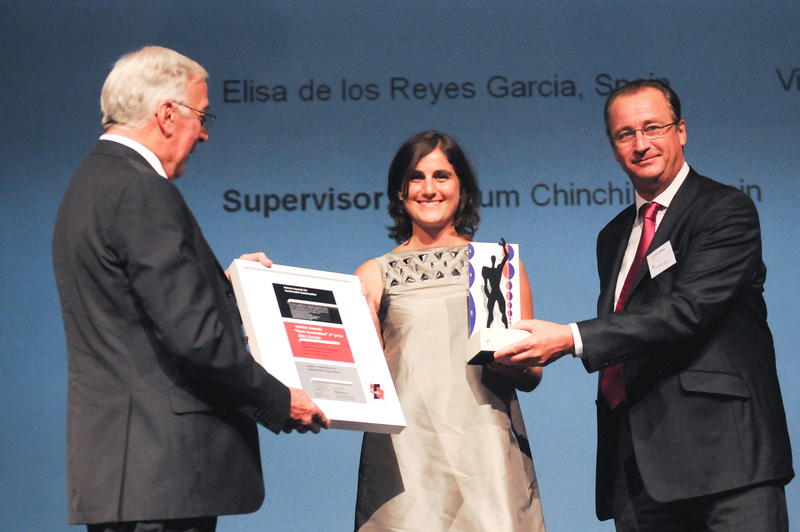 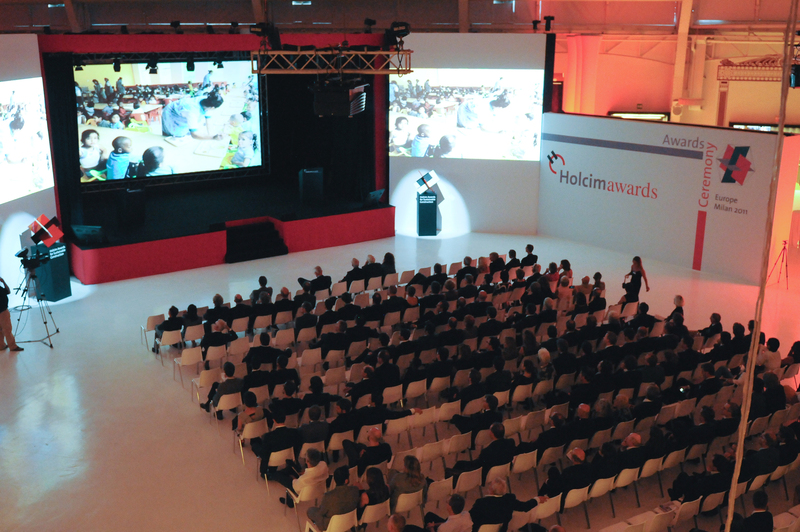 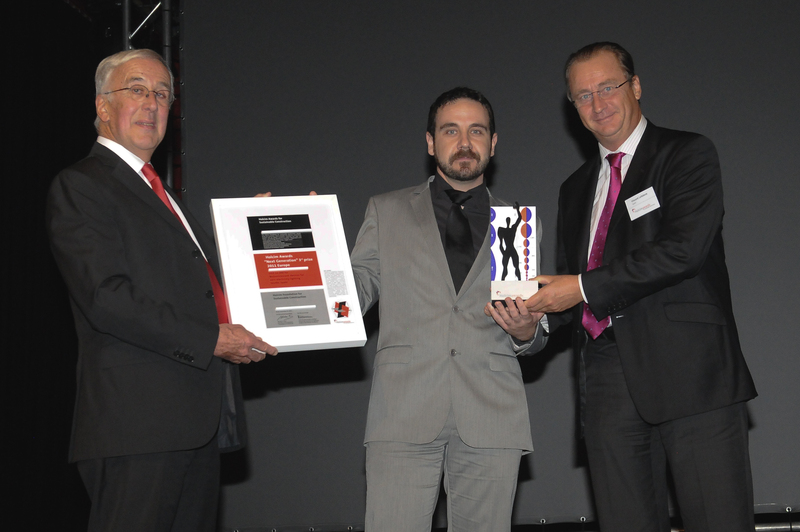 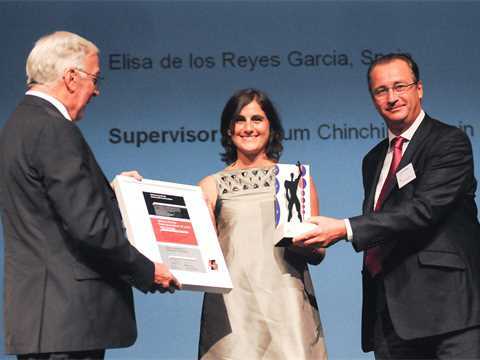 Holcim Awards Acknowledgement prize 2011 winner for High-density cottage garden structure: 3-D Model. 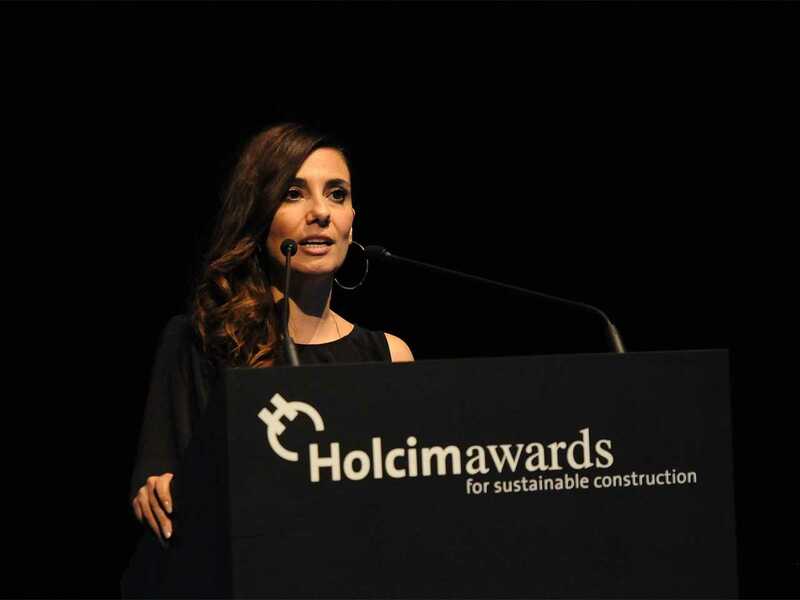 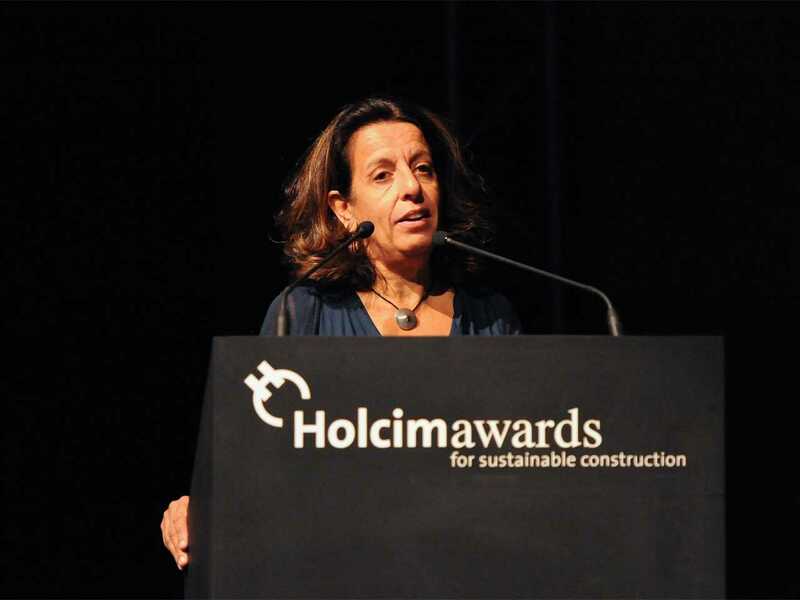 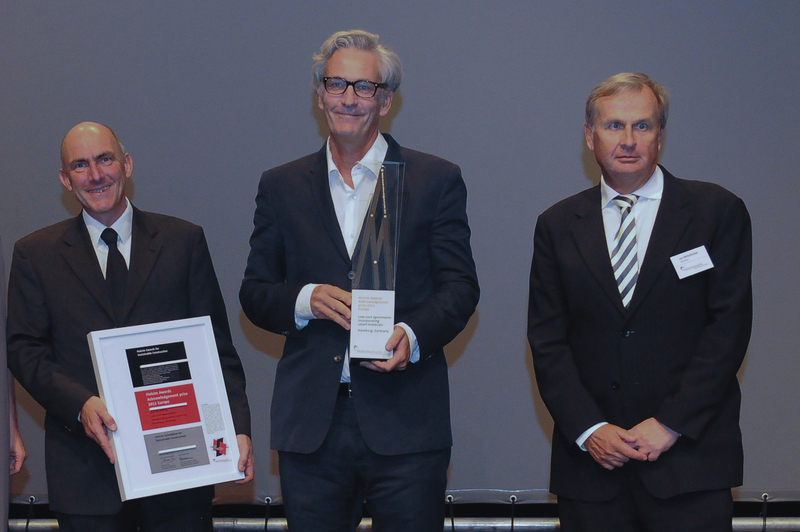 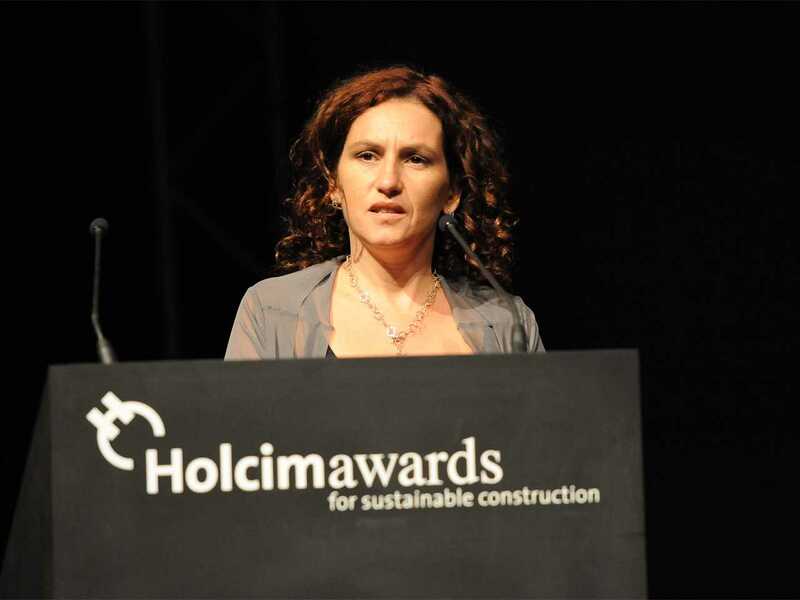 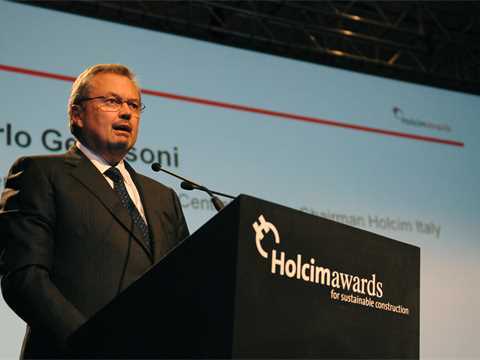 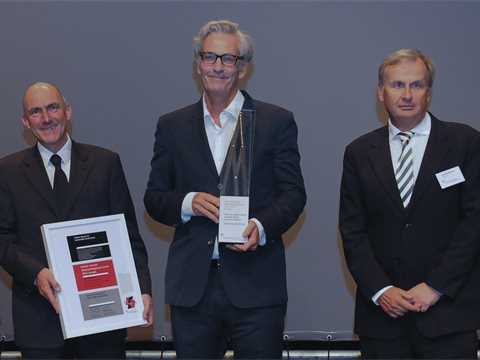 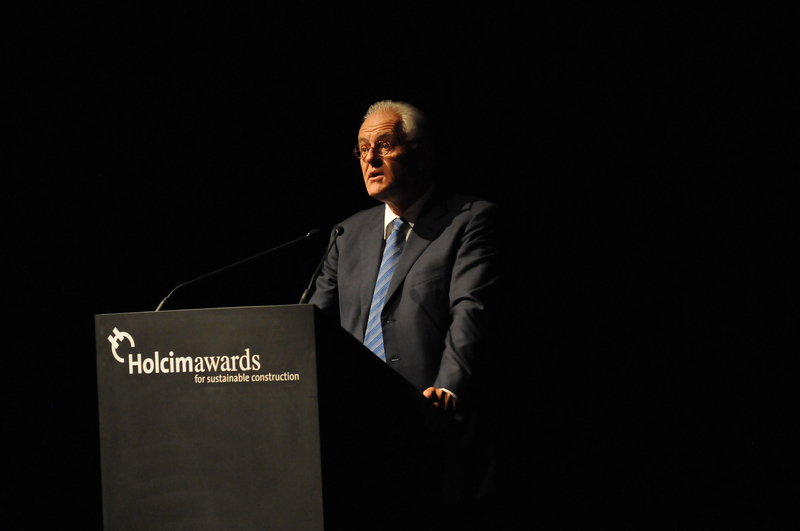 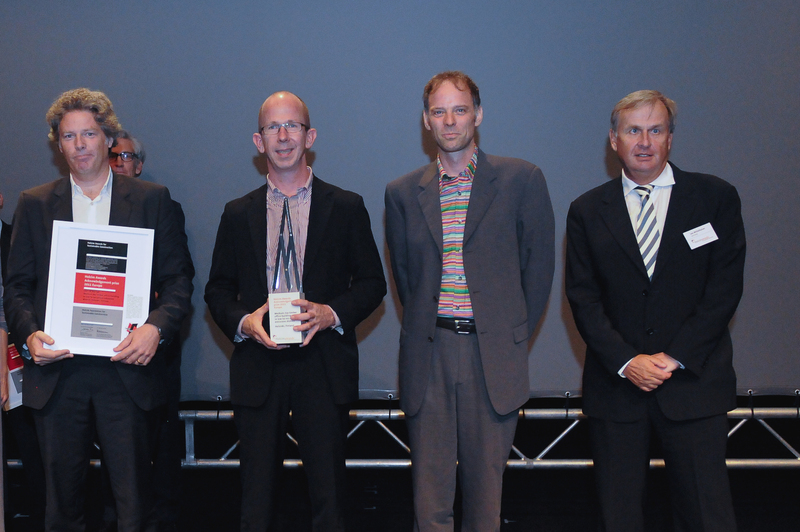 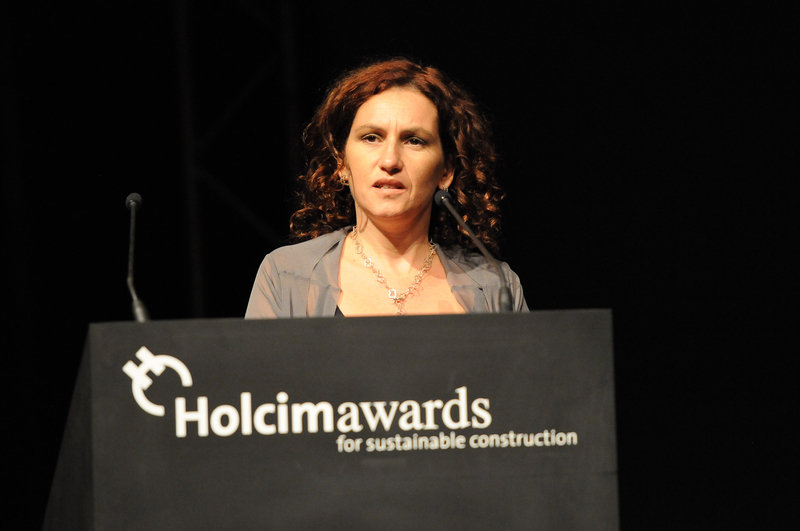 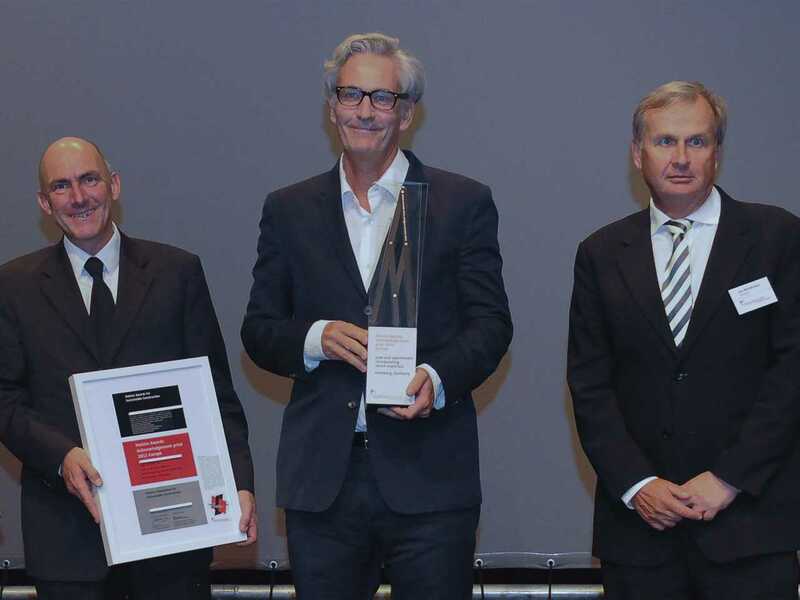 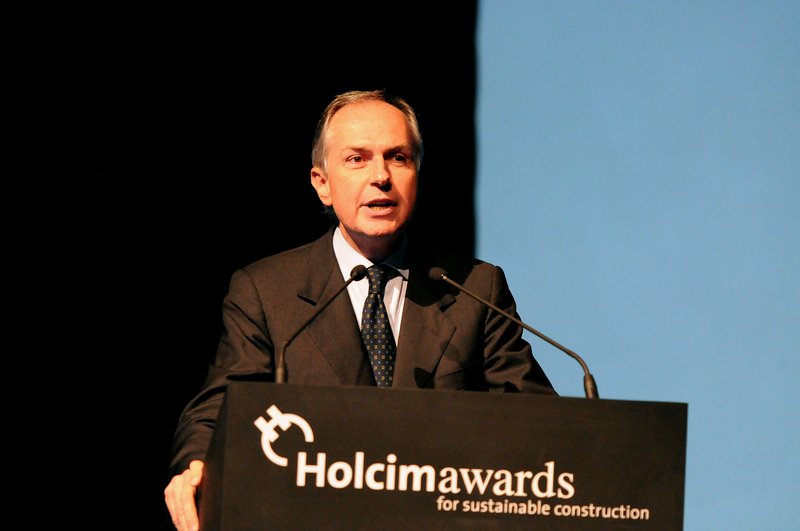 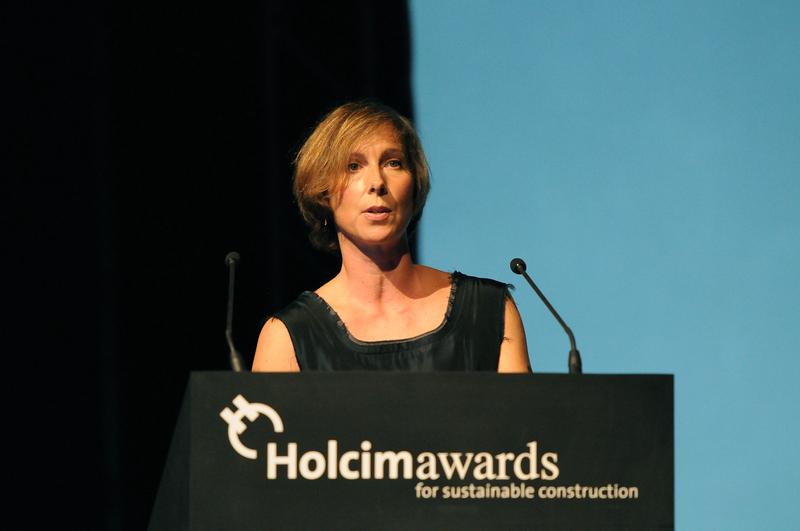 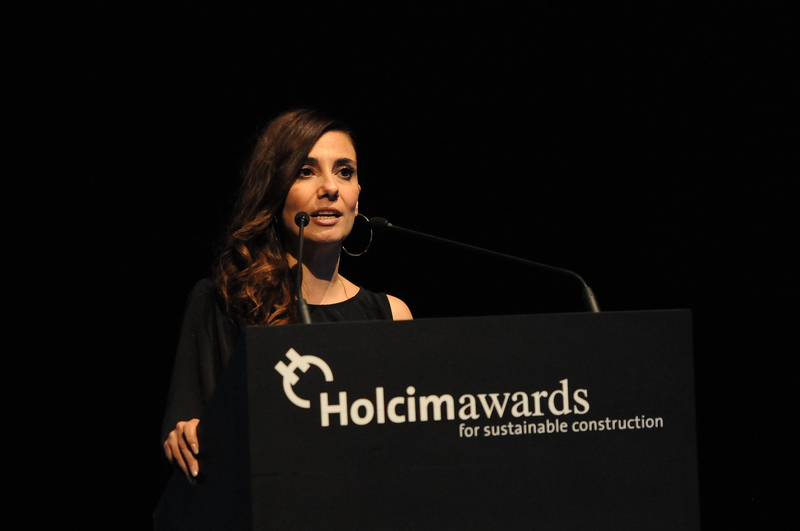 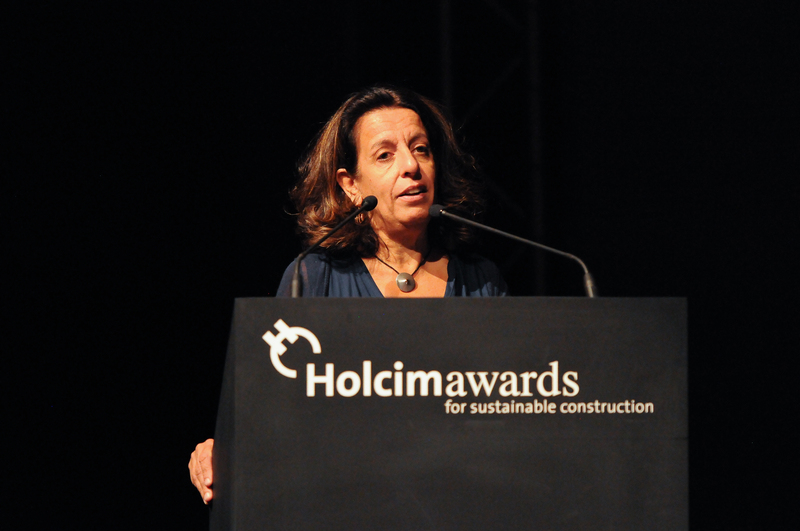 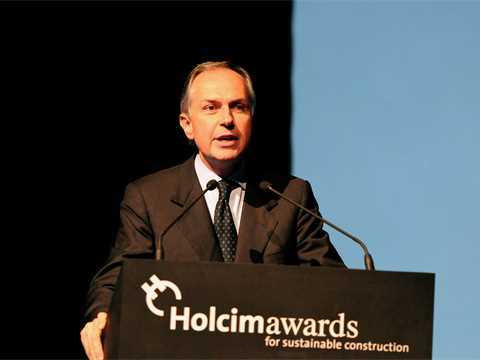 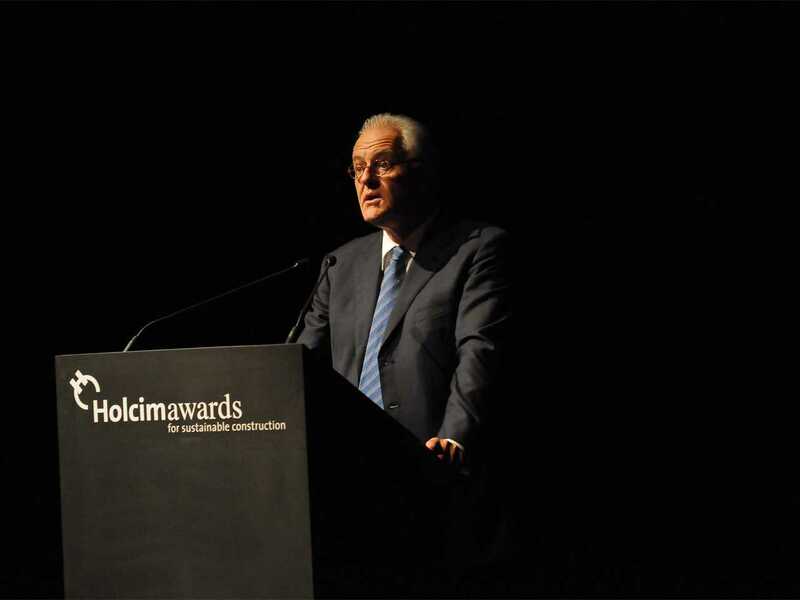 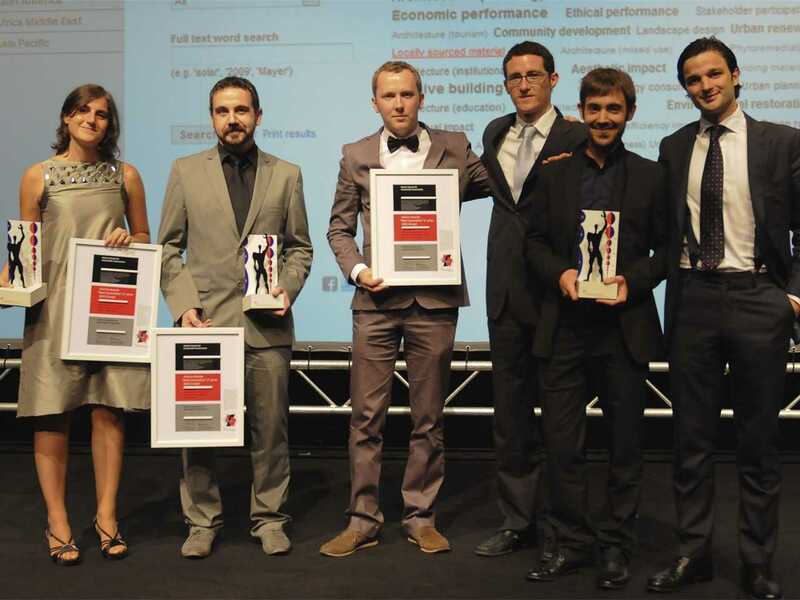 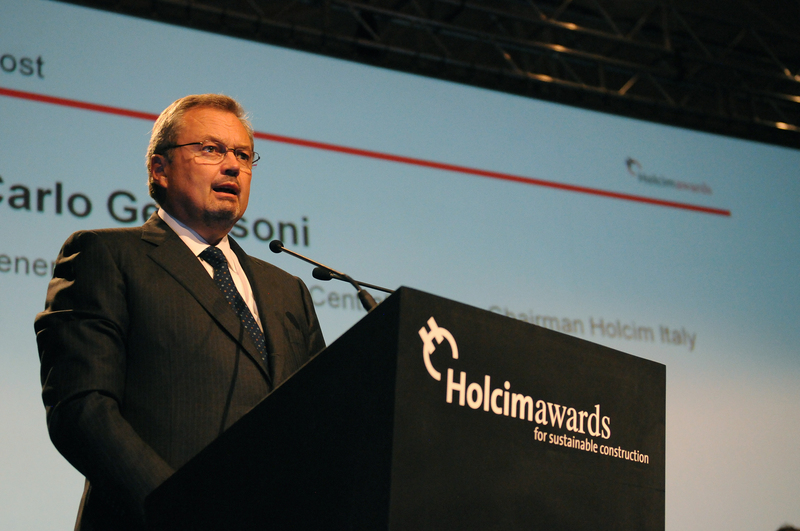 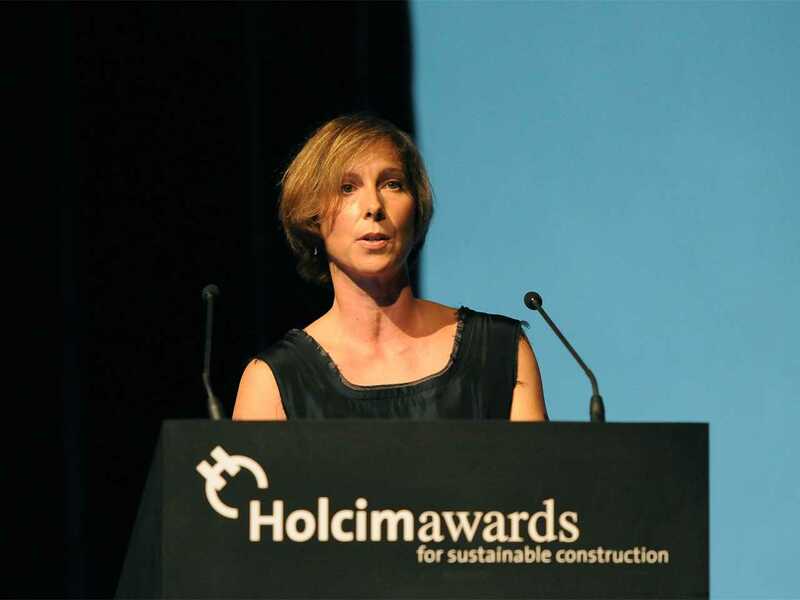 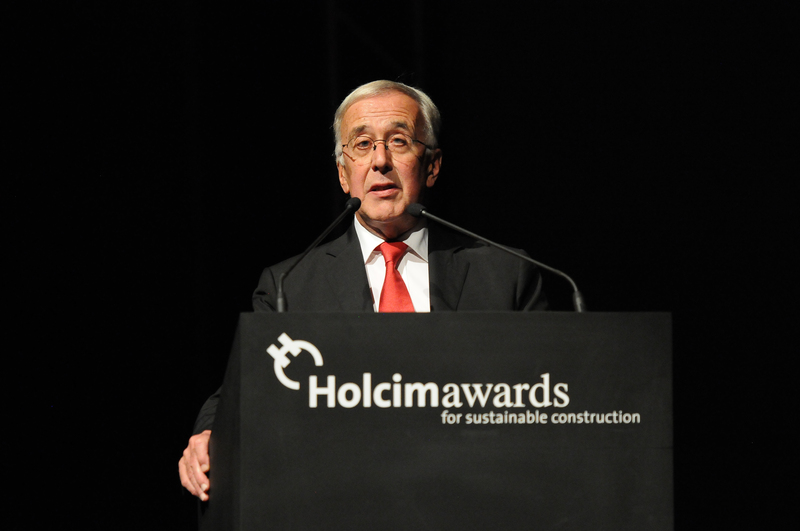 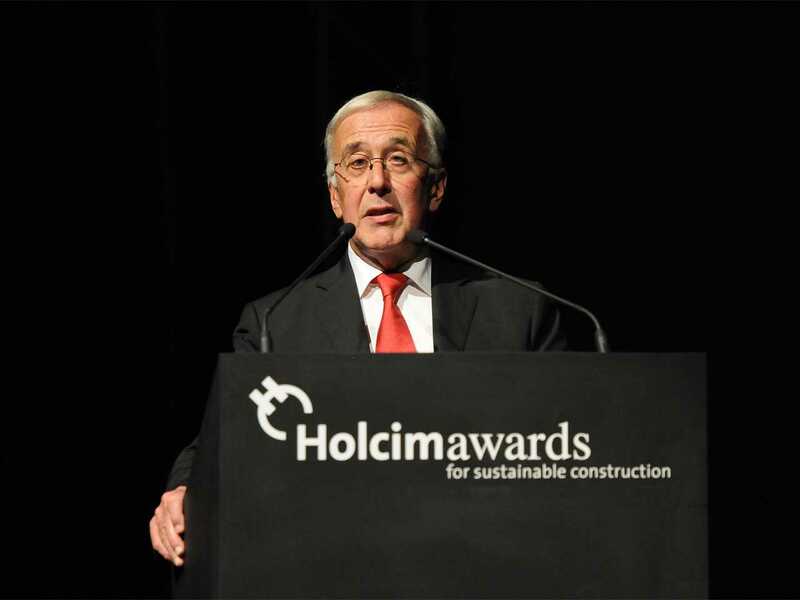 Holcim Awards Acknowledgement prize 2011 winner for High-density cottage garden structure: Construction. Holcim Awards Acknowledgement prize 2011 winner for High-density cottage garden structure project authors (l-r): Marijke Bruinsma, De Stuurlui Stedenbouw, Schipluiden, Netherlands; and Marjan van Capelle and Arjen de Groot, Atelier Gras, Schipluiden, Netherlands. The edible Eathouse is a simple response on how to link urban space to green recreation areas and how to supply food with respect to its production – both matters of the socio-cultural quality of life. The Eathouse is an inexpensive modular system of plastic crates and scaffolding. It creates the potential for growing a greater volume of “urban food” in a particularly confined space. 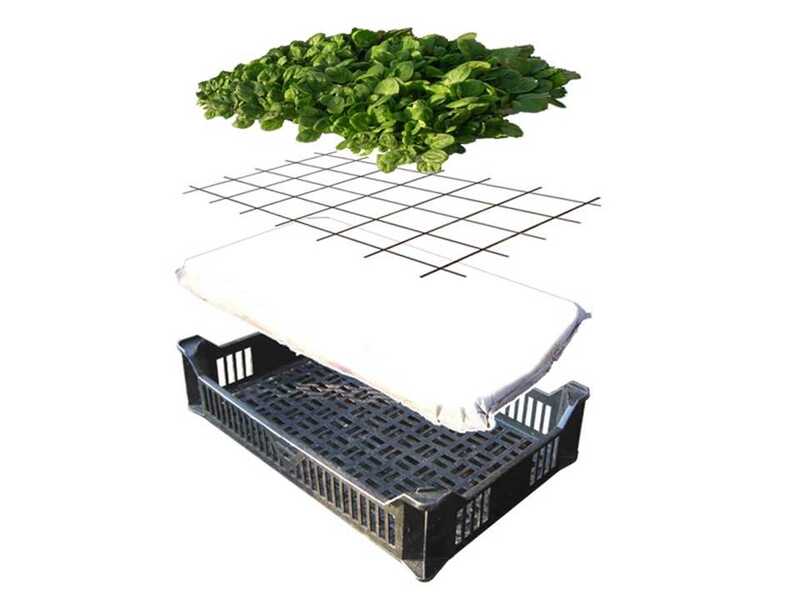 The crates are already used in the agricultural industry to harvest, transport and exhibit fruit and vegetables. 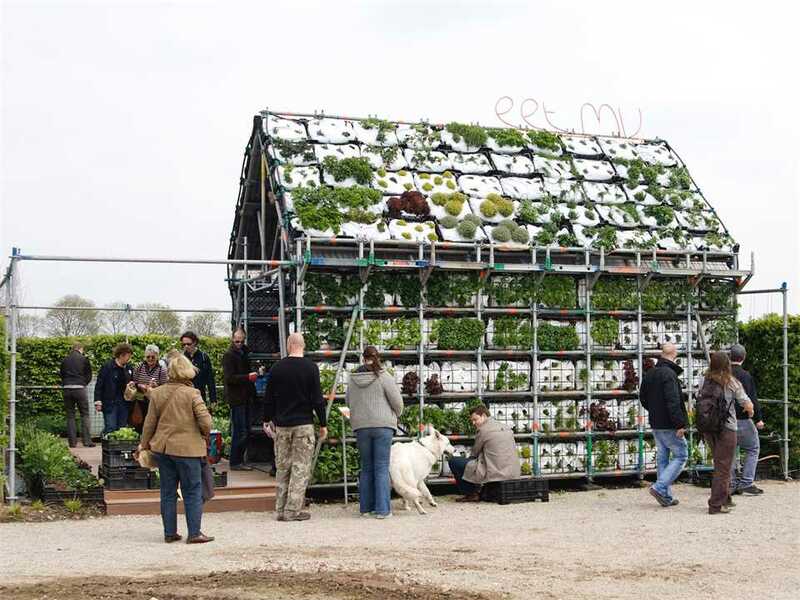 Designed for a project in Appeltern, 25km west of Nijmegen in the Netherlands, the structures could be positioned on a balcony wall, garden shed roof, or other under-utilized space.